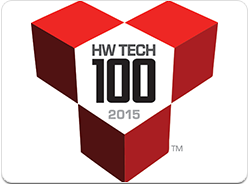 TORRANCE, Calif., March 17, 2015 (SEND2PRESS NEWSWIRE) --DocMagic, Inc., the premier provider of fully-compliant loan document preparation, compliance, eSign and eDelivery solutions, announced that HousingWire magazine designated the company to its 2015 HW TECH100(TM) list. The list honors the 100 most innovative technology companies serving the U.S. mortgage finance and real estate industries. HousingWire states that more than 250 companies were evaluated by HousingWire editors for the 2015 program, which looks at technology innovation along six different categories: uniqueness of solution, growth, market influence, market potential, elegance of implementation, and "something else entirely" -- a catch-all for disruption and other factors that drive innovation.